Who will take home the blue ribbon? 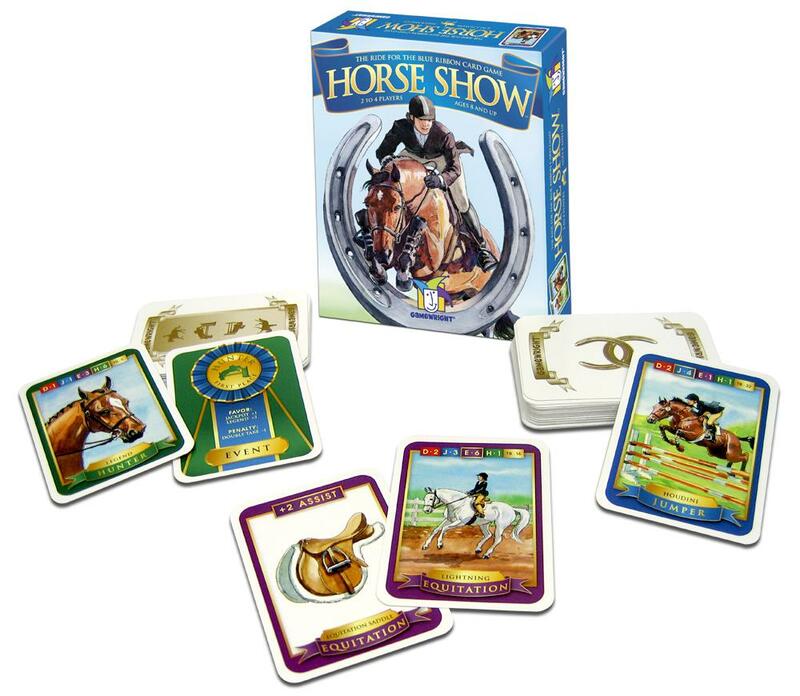 Pick the best horse cards from your stable and enter the show. Each event favors some horses and penalizes others so choose carefully. Special assist cards, like braiding kits and custom saddles, are worth extra points. 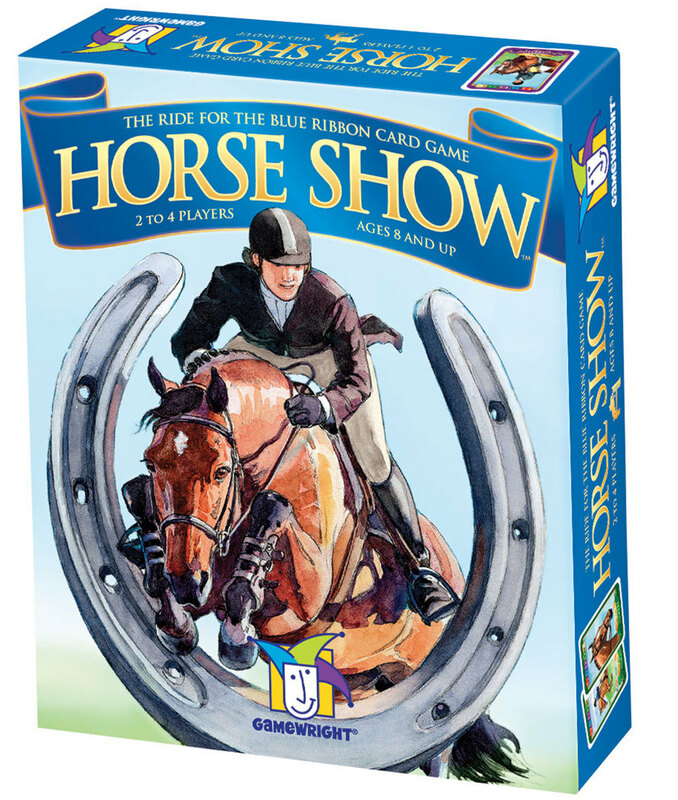 Win the most blue ribbon cards and ride to victory! 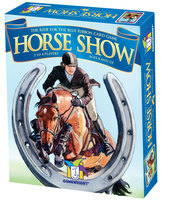 Horse Show lets children play a strategic game based on horse shows, learning about authentic tack and actual show events. The horses themselves are the game's characters, with lively personalities felt through the illustrations. The child becomes the rider; grooming and braiding before a show, watching a horse at pasture, and jumping clean a stadium hurdle.